Will release on August 22. A sequel to Middle-Earth: Shadow of Mordor has been leaked by US retail chain Target, via an online booboo that, at the time of writing, hasn't yet been fixed. 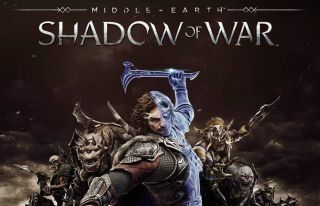 Titled Middle-Earth: Shadow of War, the sequel will see Talion and his ghost buddy Celebrimbor teaming up once again to have another crack at Mordor. According to the Target description, you'll "go behind enemy lines to forge your army, conquer Fortresses and dominate Mordor from within". And in case there was any doubt, the Nemesis system will return, creating "unique personal stories with every enemy and follower". I particularly like the bit about confronting the "full power" of Sauron and the Ringwraiths in this game, suggesting encounters with the Big Eye himself and his ethereal chums, rather than just a procession of increasingly powerful orcs and uruk-hai. In addition to the base game, a 'gold' edition of Shadow of War has also leaked, containing two story expansions that will a new campaign, playable character, abilities, side missions and more. There will also be two 'nemesis' expansions include as part of the gold edition, which will whack in a new orc tribe, fortress, and other bits and bobs. On PS4 and Xbox One, the standard edition will set you back $60, while the gold one will retail for $100. There's no mention of a PC version in the leak, but seeing as the original game released on PC as well as consoles, it seems a safe bet. According to Target, Shadow of War will release on August 22. It's once again being developed by Monolith, and being published by Warner Bros, a representative of whom is no doubt typing one furious email right about now. Have a read of our Shadow of Mordor review if you're inspired to play the original game, or our lament to the fact that its inspired Nemesis system, to date, remains un-stolen.